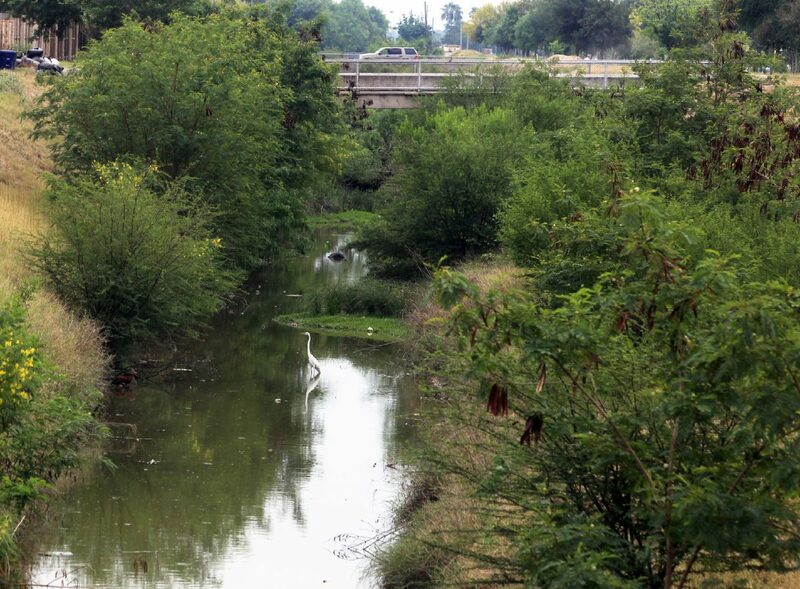 McALLEN — Nearly all of the $23 million that McAllen voters approved in May for drainage improvements will likely be allocated over the next two years. There are 22 drainage projects across the city in the city’s budget for the 2018-19 fiscal year, which begins in October. There will be $11.6 million allocated in the 2018-19 fiscal year, and $9.9 million allocated in the following fiscal year, per City Manager Roel “Roy” Rodriguez’s recommendation. Yvette Barrera, city engineer, said at Wednesday’s budget hearing she believes all 22 projects could be completed in two to three years. City commissioners were pleased to hear this, though they had questions about specific intersections. Commissioner Veronica Whitacre asked about the intersection at South 2nd Street and Wichita Avenue, which was not part of the 22 projects listed. McAllen commissioners voted in favor of a drainage utility fee, which was implemented in March. That fee, which city officials anticipated to last eight years, will go toward other needed drainage improvements that were not listed on the budget, the city engineer said, including that intersection concerning Whitacre. Drainage improvements from money collected from the drainage utility fee will go toward other construction that will happen simultaneously over the next several years, Barrera said. The drainage utility fee, meanwhile, varies depending on the size of a property. McAllen’s engineering department estimated the average residence in McAllen is 2,700 square feet, which would amount to a $1.50 monthly fee on residents’ utility bill. The average McAllen property’s drainage utility fee would be $18 per year. City officials determine the fee for each property by taking the total square footage of impervious cover at a property, divide it by 2,700 — the average square footage of a McAllen single-family residence — and multi-ply that number by $1.50. Impervious cover is everything on a property that is essentially an artificial structure. Examples of impervi-ous cover include a garage, pool house, cabana or porch. The Hidalgo County Appraisal District uses codes for every piece of impervious cover on a property. These codes appear on property tax bills. The city uses these codes to determine square footage of impervious cover on the property.